Uğur specialises in applying industrial organisation theory in merger, abuse of dominance and dispute cases. He has substantial experience in developing theoretical models which inform on effects of mergers and regulatory actions. 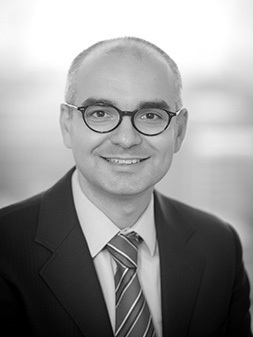 His work for merging parties on the European Commission’s Phase II investigations includes ASL/Arianespace, UTC/Goodrich and Posten/Post Danmark which involved conglomerate effects concerns and INEOS/SolVay and BHB/RioTinto JV in which production capacity and utilisation rates were considered as important elements of competition. A notable experience was working for Aer Lingus during the EC’s review of Ryanair’s last hostile takeover bid which led to a prohibition decision and throughout the UK investigation by which Ryanair was required to divest most of its minority shareholding in Aer Lingus. He has also assisted Sky in reversing the Competition Commission’s provisional finding of dominance during movies on pay-TV market investigation. In addition to cases before the European Commission, the CMA, the UK Competition Appeals Tribunal, ICSID and the WTO, Uğur has worked on cases in non-EU jurisdictions. For example, in Turkey he helped Mars and AFM, the two leading two cinema chains, gain approval of their merger. He has worked on projects in aerospace, airline, automotive parts, broadcasting transmission, film exhibition, chemical, electricity generation, energy retail, FMCG, grocery retail, mining, pay-TV, postal, telecommunication, tobacco and truck industries. Uğur speaks English, Spanish and Turkish. His academic work was published in the Journal of Industrial Economics and the B.E. Journal of Economic Analysis and Policy.